The Caribbean Premier League (CPL) has become the first T20 tournament in the world to live stream full matches on Twitter. Twitter has signed a media rights deal with CPL to live stream all matches of the league’s 2018 edition in around 54 countries across the globe, including India. The deal marks the first time when cricket fans will be able to stream full matches on Twitter, and also engage in banter with fellow fans on the social media platform. In addition to live matches, CPL fans in India will also be able to watch over 150 highlight videos from the tournament, thanks to an exclusive sponsorship deal with Hero MotoCorp. “The global, public conversation around cricket happens on Twitter and we’re thrilled to team up with Hero CPL to add LIVE-streamed cricket to that experience for fans in 54 countries,” said Aneesh Madani, Twitter’s Head of Sports Partnerships (Asia Pacific) was quoted as saying by EconomicTimes. 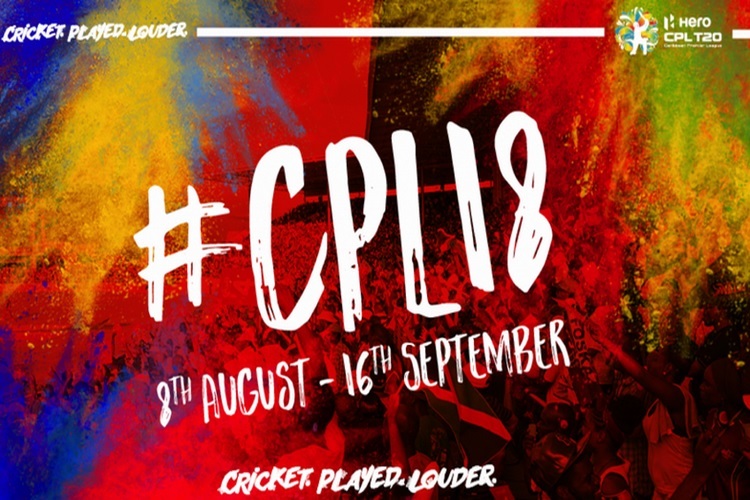 The live stream of CPL matches will be available on the official @CPL Twitter handle, while the hashtag #CPL will be live to help fans watch the highlights and engage in conversation with fellow CPL followers. “Hero CPL is the biggest party in sport and we’re proud to partner with Twitter to become the first T20 cricket league to give fans access to cricket streaming LIVE on the platform”, Vishnu Kumar, Head of Digital at Hero CPL said regarding the partnership. The in-stream video sponsorship deal presents Twitter an opportunity to capitalize on the fan following of CPL and drive engagement on the platform. Media rights for cricket have become a hotly contested battle in the subcontinent, with the likes of Google, Facebook, Reliance Jio and Sony battling for digital broadcasting and streaming rights. The 2018 season of the Caribbean Premier League started a few days ago and concludes on September 16th, 2018. So, if you are a fan of heavy hitters like Chris Gayle and Kieron Pollard, head to Twitter to watch full matches and highlights from the tournament.